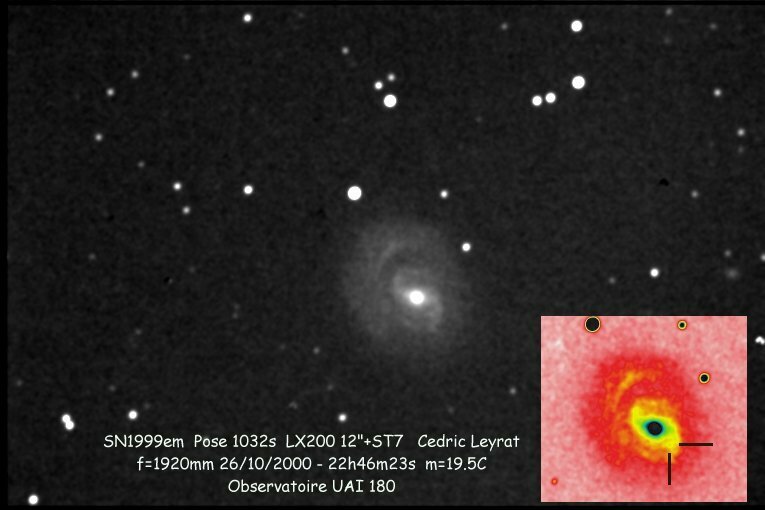 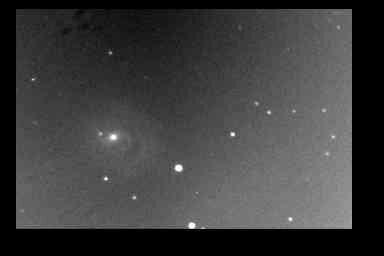 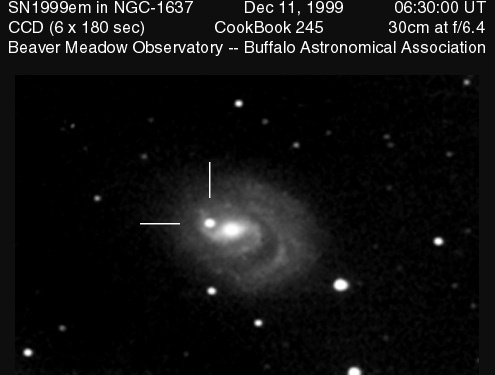 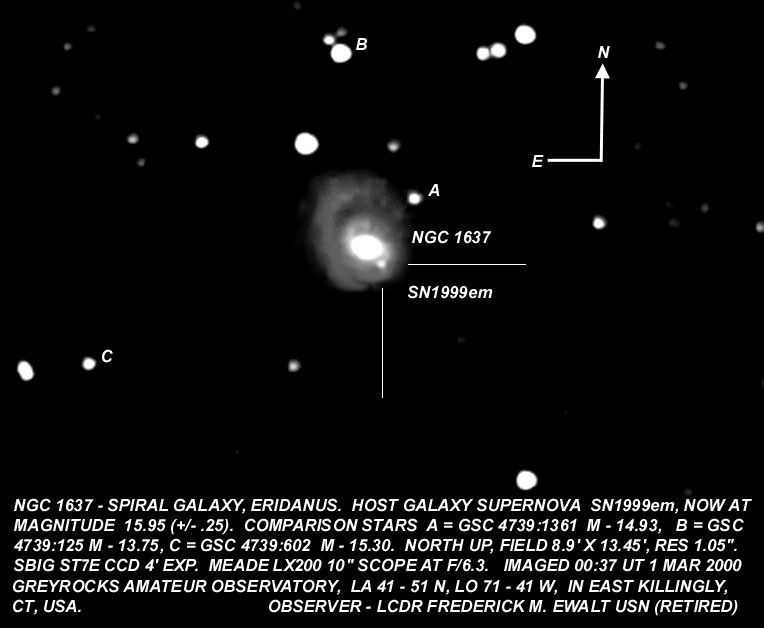 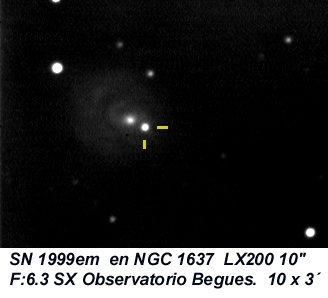 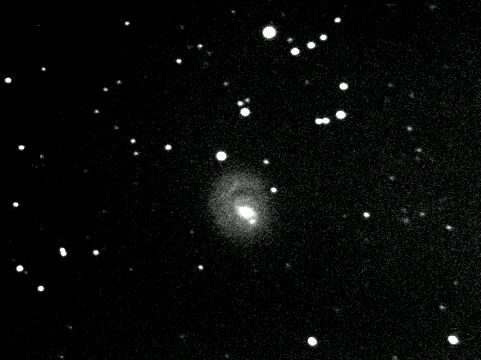 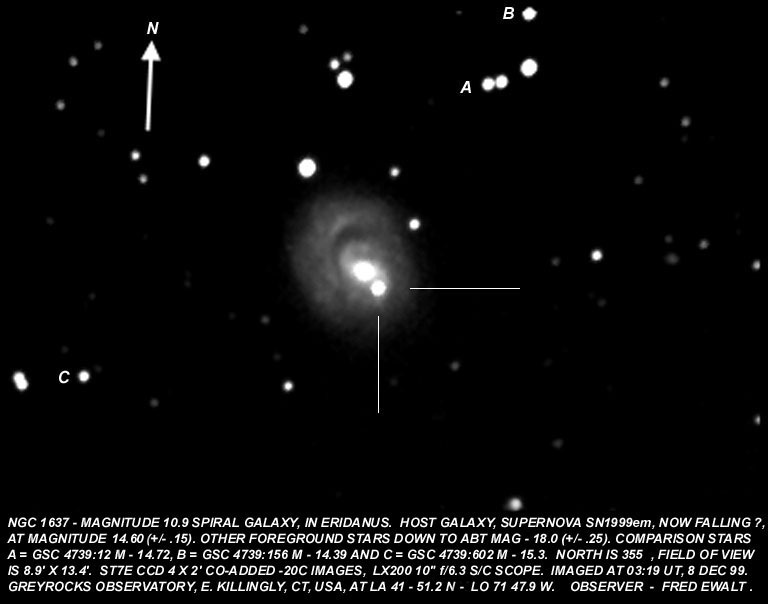 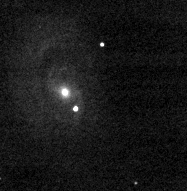 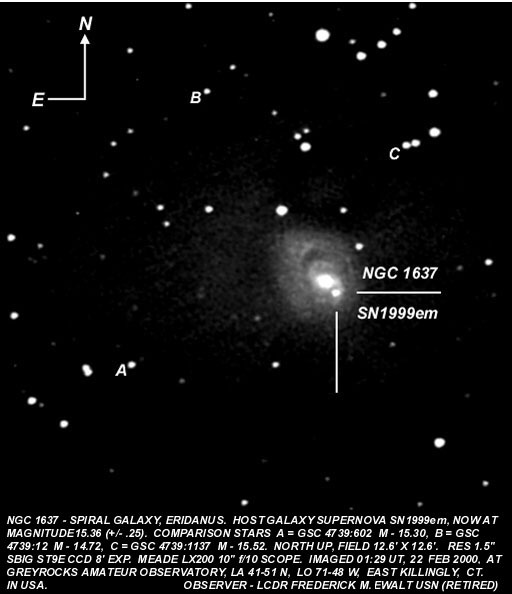 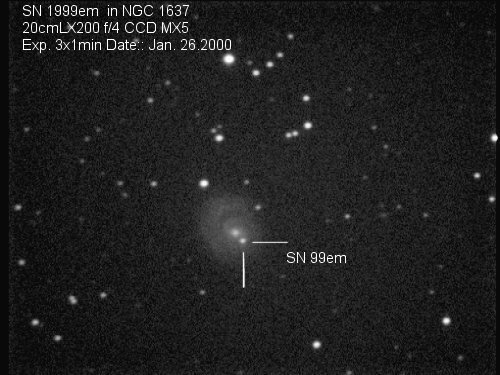 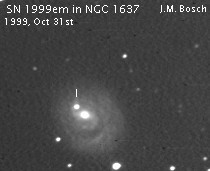 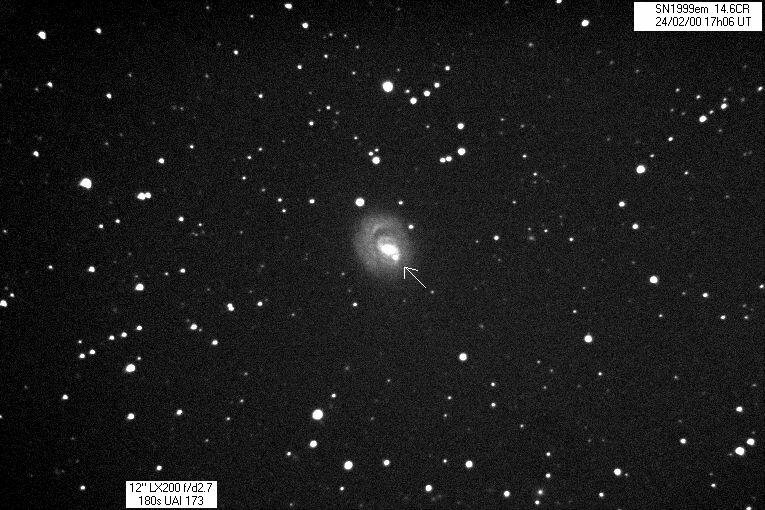 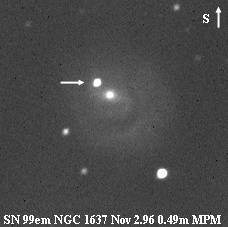 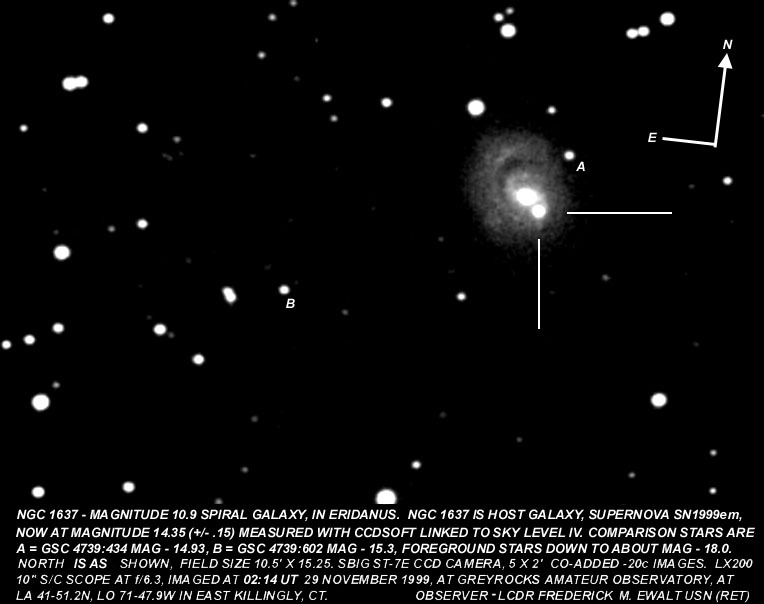 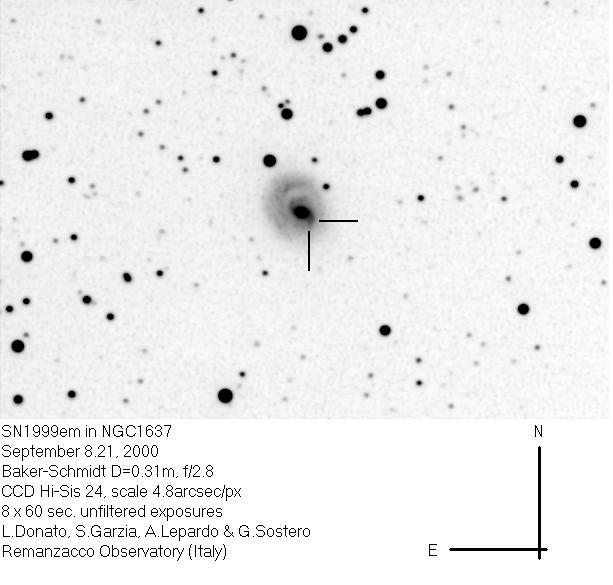 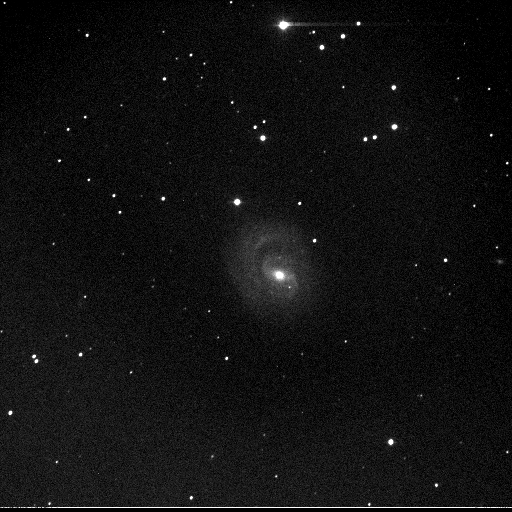 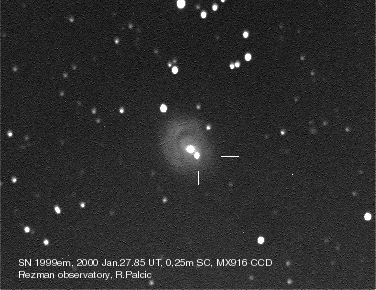 This page is devoted to information on Supernova 1999em in NGC 1637 Basic information on this SN, including the last reported brightness, on this Supernova can be found on the main main page. 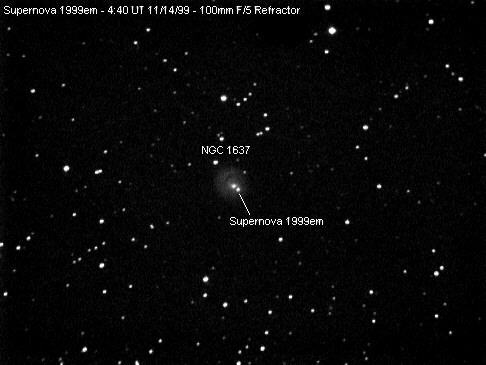 Information on the original web pages for many of these images can be found on the Supernova links web page. 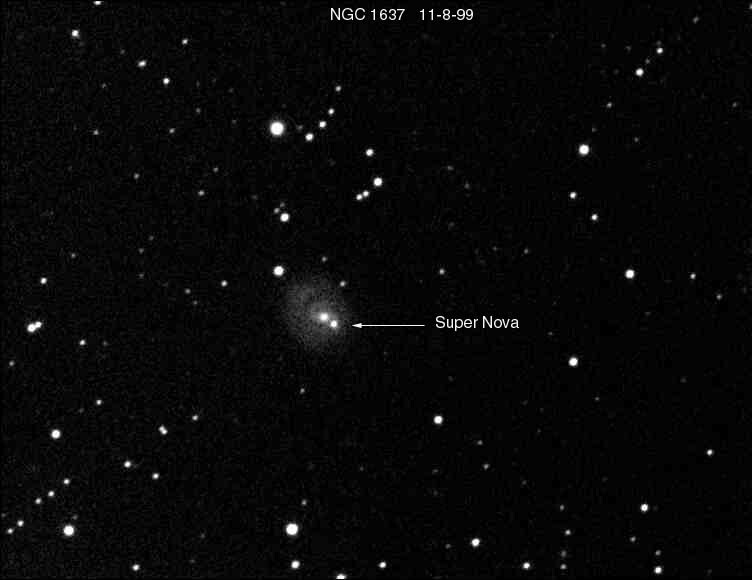 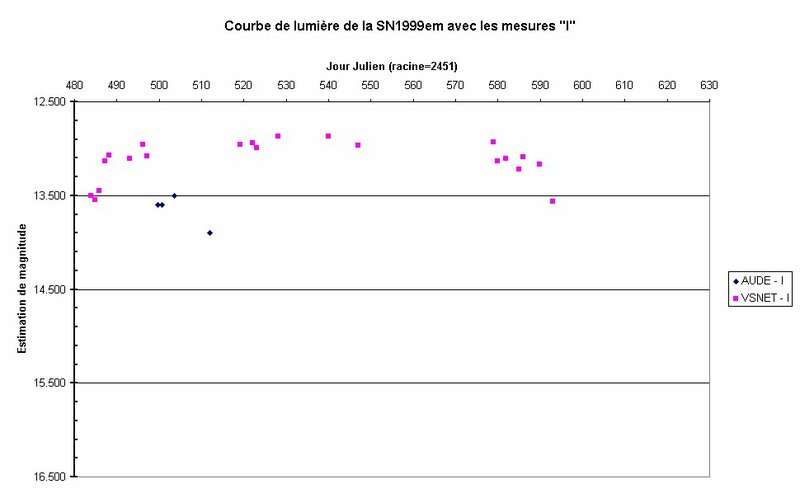 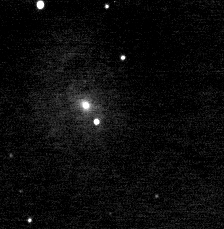 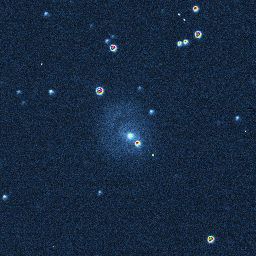 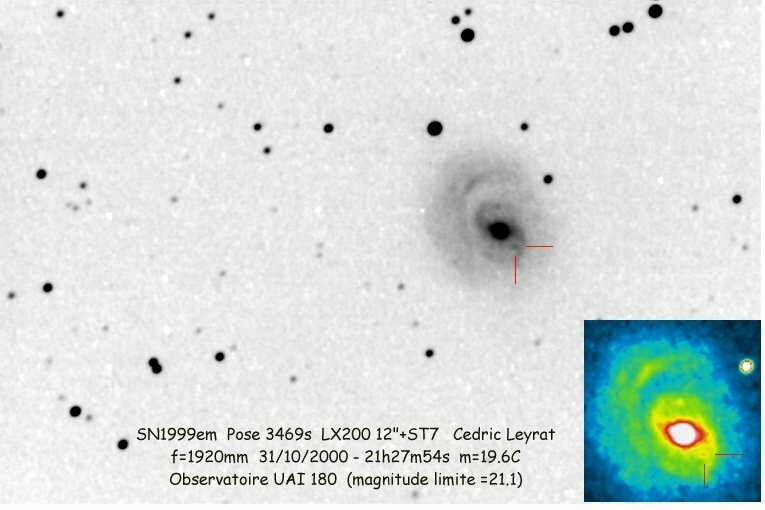 Currently there's a big debate over what photometry to use for this supernova. 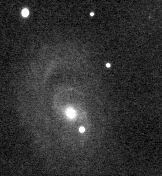 Three sets of reference stars have been posted, and depending on which one you use, you get a different brightness. 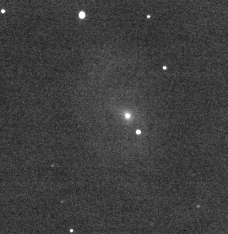 As soon as this is straightened out, I'll try to normalize things. 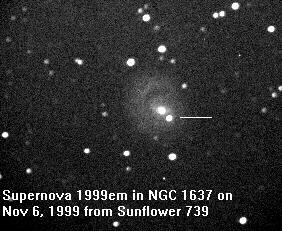 HORKE NOVINKY Supernova 1999em in Checz. 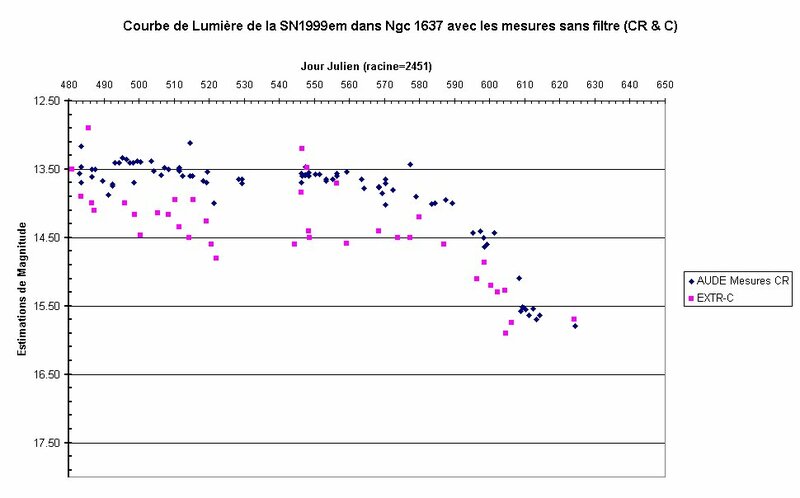 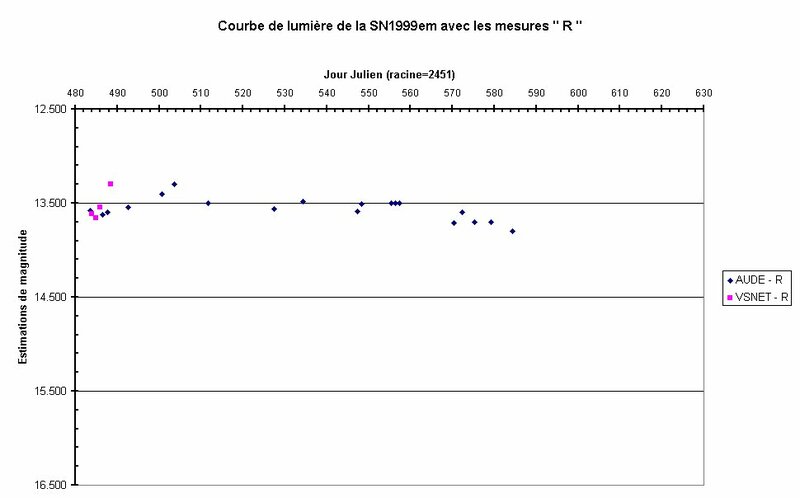 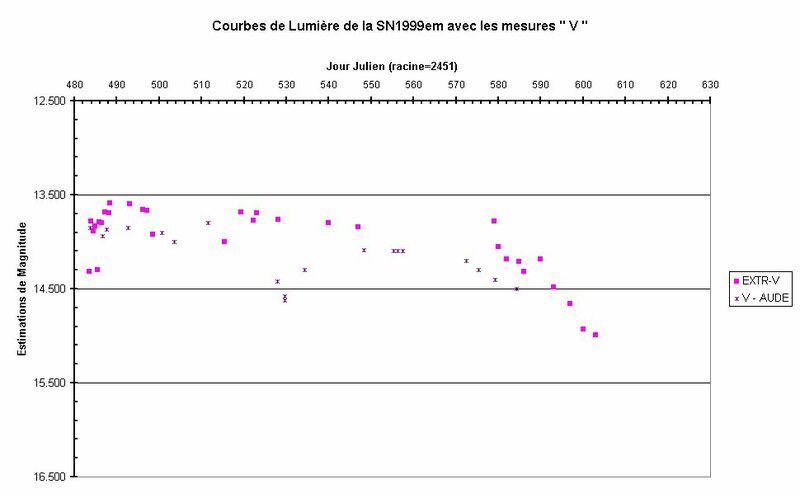 AUDE has "C" or no filter light curve, "V" filter light curve, "R" filter light curve, and "I" filter light curve Relinked 2/22/00.